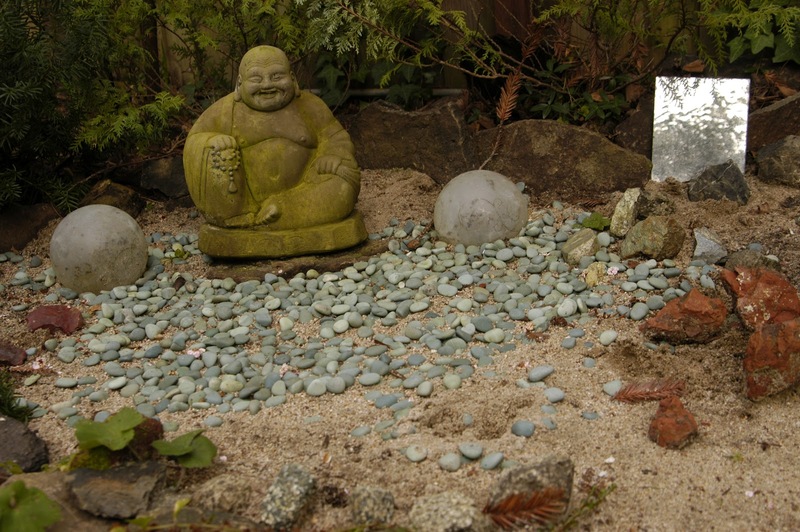 The aim of a meditation garden is to provide a place for retreat where everything is soothing and peaceful, a place to get away and unwind after a busy day. The idea appeals to me, but I’m far from creating a Zen state in my garden. There are touches that evoke serenity, sure, but not an overall design for calming frazzled brain waves. I’m working on it. Thereare,however, obstacles to achieving a pure meditative state in my backyard. One obstruction is construction. The house next door was foreclosed on and my neighbor of many years, whose husband had a major stroke, couldn’t pay the mortgage anymore. The real estate crash meant they couldn’t sell the house. About six months ago my neighbor’s husband went into a care facility and she was forced into a studio apartment. Speculators eventually bought the house, preparing to flip it, therefore the sound of hammers and saws coming over the back fence. Then there are the blowers and goers. Most people in my neighborhood have lawn care and gardening services. That means leaf blowers and power mowers are perpetually in operation somewhere within earshot — rankling dogs, scaring cats and generally disturbing the peace — from 7 a.m. to 7 p.m.
Crotch rockets are another annoyance. It’s hard to blow off the day’s anxiety when there are guys (sorry, but few women spend a half-hour revving motorcycles or muscle cars in their driveways) winding out their rides before blasting off. Ice cream trucks also add to the annoying cacophony with tinkling Christmas carols in May and mangled renditions of “Turkey in the Straw” played from tinny speakers into the evening as they cruise the streets. My grumpy self aside, if a meditation garden appeals to you, garden design experts say the great thing is that you don’t have to know anything about meditation to create a soothing garden, most gardens evoke calmness on their own and all you need to do is be in one to feel relaxed and at peace. Here are some suggestions to get your meditation garden started. 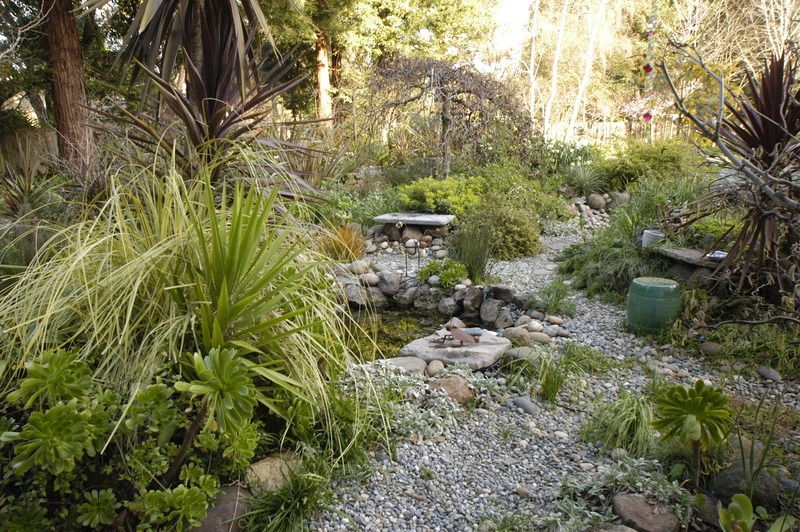 Imagine what a restful garden would look like to you. Think about what you love about being in the garden in terms of relaxing and offloading your stress. Take those memories and feelings and translate them into practical ideas of how you would like to see a personal garden aimed totally at your relaxation and peace. Write down ideas that occur to you, (for example, a blue and yellow theme would be attractive to you, or a wooden park bench, or an arbor or statue) and plan how you’d incorporate those things into your imagined garden. If you are going to share this garden with family or others, get their ideas and input too. But, remember that it’s your garden; it’s your intent that counts when creating a meditation space. There is no right or wrong way to make a meditation garden; the whole goal is to make a garden that both calms and inspires you and when you open your eyes, inspires you even more. 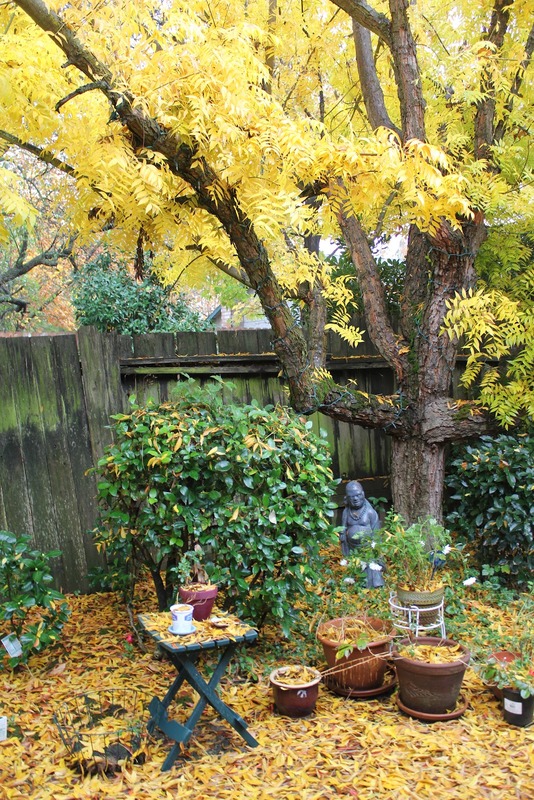 Look for examples of peaceful gardens. Perhaps the world’s most famous meditation garden is in Kyoto Japan at the Ryōan-ji Buddhist temple. The rock garden was built in the 15th century in 340 square-meters rectangle. Fifteen stones of different sizes, composed in five groups; one group of five stones, two groups of three, and two groups of two stones were placed in the space and surrounded by white gravel, which today, as in ancient times is carefully raked into soothing patterns by monks. The only vegetation in the garden is some moss around the stones. The garden is meant to be viewed from a seated position on the veranda of the hōjō, the residence of the abbott of the monastery. The stones are placed so that the entire composition cannot be seen at once from the veranda. They are also arranged so that when looking at the garden from any angle (other than from above) only fourteen of the boulders are visible at one time. It is traditionally said that only through attaining enlightenment would one be able to view the fifteenth boulder. The wall behind the garden is an important element. It is made of clay, which has been stained by age with subtle brown and orange tones. In 1977, the tile roof of the wall was restored with tree bark to its original appearance. Scientific analysis of the garden. 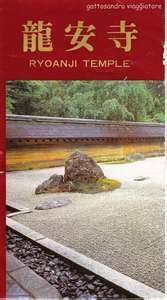 In an article published by the science journal Nature, the garden at Ryōan-ji was analyzed using a computer generated shape analysis model to show that the garden’s empty spaces were “implicitly structured,” which seems like the antithesis of what the garden’s about, but that’s just me. The researchers propose that the implicit structure of the garden is “designed to appeal to the viewers unconscious visual sensitivity to axial-symmetry skeletons of stimulus shapes.” In support of their findings, they found that imposing a random perturbation of the locations of individual rock features destroyed the special characteristics. Sounds like a lot of hooey, but centuries after its creation, Ryōan-ji continues to be studied and visited for the soothing atmosphere it imparts. It’s elements are so artfully simple that elements or inspirations from the garden can be replicated in the most humble of gardens. Look for photos online.